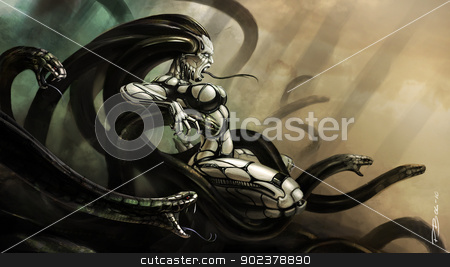 Digital Painting of an evil looking Medusa, designed and created by Peter Bauer. The painting was made having the final piece as print in mind. Pixel dimensions 5669 × 3189. Document size 60cm x 34cm, resolution 240 dpi.